Bangladesh Society for Microbiology, Immunology, and Advanced Biotechnology (BSMIAB) is a non-profit organization. Biotechnologists, microbiologists, and immunologists are working to improve agriculture, health, environment, medicine, pharmaceuticals, welfare, and food safety. BSMIAB was established for enhancing communication within the biotechnology and immunology professionals, to promote the exchange of information and material for the study between individuals and organizations in human, plant, and animal, to encourage research in this field and to establish and maintain liaison with the general public, regulatory bodies other bodies with related interests. It is a global association for Bangladeshi biotechnology, microbiology, and immunology professionals. It is run by an elected Executive team every two years. Its members come from Bangladeshi who are living all around the world and are in academia, research, government, industry, and practice. BSMIAB has started its operation in 2013 in Bangladesh and Bangladeshi Scientist Dr. Md Jamal Uddin (Hasan), currently working as Research Professor at Department of Pharmaceutical Sciences, Ewha Woman’s University, Korea was the founder of the association. 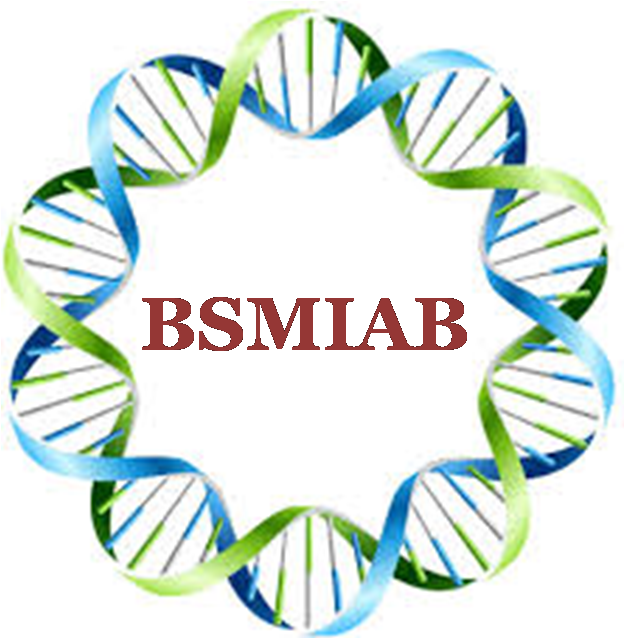 Since inception in 2013, BSMIAB has tried to build bridges between researchers/academicians & stakeholders by providing information on the latest technologies in biotechnology, microbiology, and immunology sector wherever achieved around the World’s and brought forward the updated knowledge at the doorstep of Bangladeshi scientists. ♦ Volume 2 issue 1, January 2019 has been published and next issue is coming on May, 2019! Please submit your manuscript right now to see it as ONLINE FIRST with DOI in 7 days of acceptance ! !